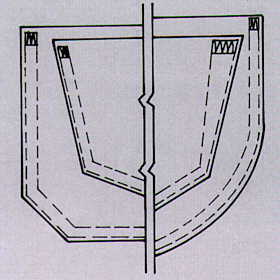 APPLICATION: For setting precreased pockets on jeans or sport trousers of medium to heavy fabric. 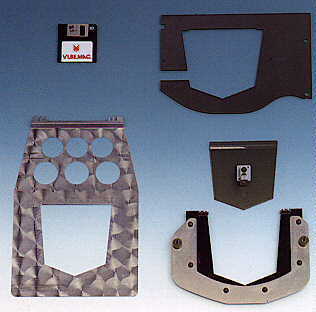 The form of the pocket, the seam style and tack pattern can be varied with appropriate fittings. 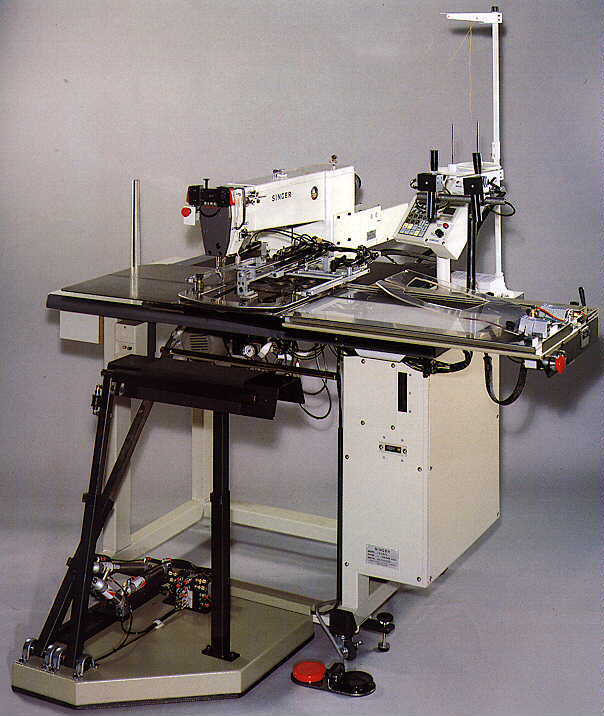 FEATURES: The jigs are fast and easy to change by the machine operator. The cost of the jigs are minimal. 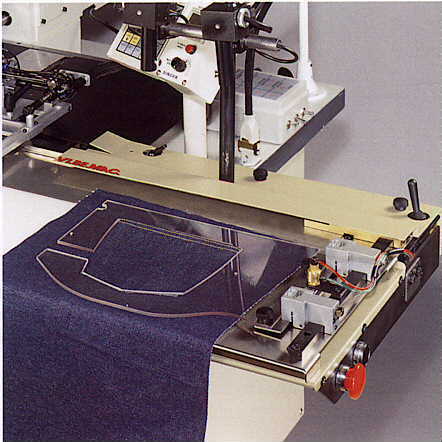 The 7225 JV unit works together with a creasing pockets machine, both run by the same operator. 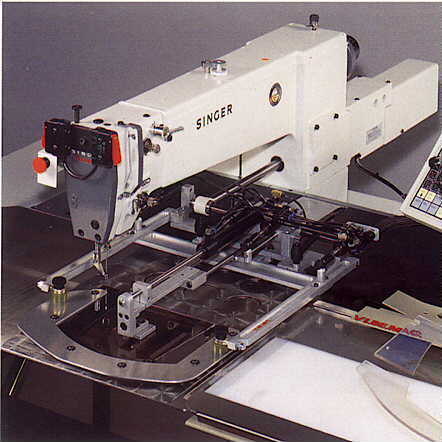 -with special jigs and relevant program the unit can make ornamental seaming on pockets.